There has always been a growing demand for production and office printer equipment sales and service. 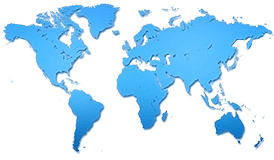 This along with various other factors specific to the region, demonstrate the need for reliable information to drive vendor, distributor and reseller strategies in the region. Basically as pointed earlier in couple of reports, the key players need quality information that helps them find the right partners, support the right equipment, and develop the right set of skills to support the dominant markets in Uganda, Tanzania, Kenya and their neighbors. 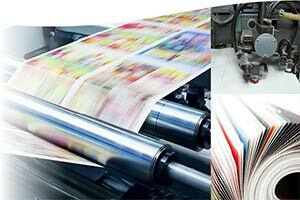 The regional factors are overall positive and point towards enormous potential for print vendors and their partners. East Africa’s dominant markets have experienced robust economic growth in the past year but several other more local influences should also factor into the overall equation of how print vendors choose to operate in the region. Local investigations over the past few years continued to divulge several revealing insights about various aspects of the sector in East Africa. The corruption clampdown in Kenya, for example, has impacted the industry there in several ways, including slowing the pace at which government tenders are awarded. The majority of the copier/MFP market is largely based on dropping boxes across East Africa, while in Uganda growth is generally phenomenal, albeit off a low base. Local factors also pushed one of the resellers out of providing printers to instead offering ATM cash dispensers and sorters. Another now supplies solar energy solutions in addition to printers. A peculiarity is that color production equipment has proven more popular than mono black and white in Kenya, bucking the trend in Southern Africa and the rest of the world. Black and white copier/MFP unit sales in Uganda also increased significantly last year over the previous year, while the absolute numbers declined marginally for Tanzania, and Kenya remained much the same. Vendors have been directly represented in Tanzania, Kenya, and Uganda. Market growth therefore signals that extra ordinary partnerships with the appropriate companies mark a significant advantage over rivals. All three production markets combined are smaller than Southern Africa but show strong growth and copier/MFP demand remains robust.